The former lead singer of the band Blink 182 was in recent contact with Hillary Clinton‘s campaign chairman John Podesta about UFOs, newly disclosed emails show. Tom DeLonge, who was the guitarist for the power punk trio best known for songs like “Dammit” and “What’s My Age Again,” emailed Mr. Podesta at least twice. He wrote in cryptic terms about their well-documented mutual interest in more government disclosure about the phenomenon of unidentified flying objects of potential extraterrestrial origin. The emails, released by the website Wikileaks this month, also reveal that Mr. Podesta participated in a documentary that Mr. DeLonge is producing. It isn’t clear whether Mr. Podesta responded to the messages. Mr. Podesta, who has worked in the highest levels of government in the administrations of Bill Clinton and Barack Obama, has expressed interested in the topic. And he has long championed further government disclosure around classified files concerning UFOs. “I think you will find them very interesting, as they were principal leadership relating to our sensitive topic. Both were in charge of most fragile divisions, as it relates to Classified Science and DOD topics. Other words, these are A-Level officials. 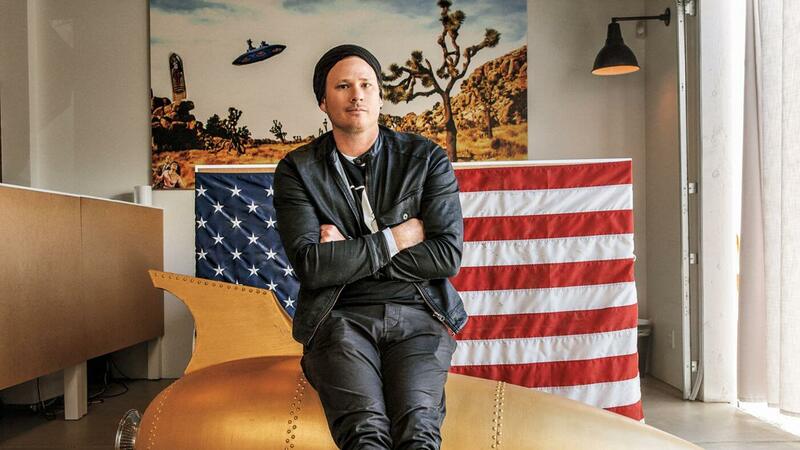 Worth our time, and as well the investment to bring all the way out to you,” Mr. DeLonge writes. In another email from 2016, Mr. DeLonge writes that he has been working with a former military official. “He just has to say that out loud, but he is very, very aware- as he was in charge of all of the stuff. When Roswell crashed, they shipped it to the laboratory at Wright Patterson Air Force Base. General McCasland was in charge of that exact laboratory up to a couple years ago,” Mr. DeLonge wrote, referring to the Roswell conspiracy theory that the U.S. government recovered an alien vessel in 1947. The military maintains that the crash at Roswell was a surveillance balloon. Both Messrs. DeLonge and Podesta have been quite open about their interests in the topic of unidentified flying objects. The band Blink 182 recorded a song called “Aliens Exist” on their 1999 album “Enema of the State” After the band dissolved last year, Mr. DeLonge launched a new franchise focused around the paranormal and unexplained phenomenons called Sekret Machines. The franchise includes fiction, nonfiction, documentary and music. Mr. DeLonge didn’t immediately respond to a request for comment. A spokesman for the Clinton campaign, without responding to questions about the UFOs meeting, accused the Russian government of interference in the U.S. election. Intelligence officials have blamed groups with ties to the Russian government for a number of hacks. “It should concern every American that Russia is willing to engage in such hostile acts in order to help Donald Trump become President of the United States,” said Glen Caplin, adding that it was “disgraceful” that Mr. Trump and his campaign were encouraging the hacks.